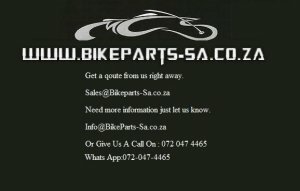 We do spares for most Chinese motorcycles. Electrical parts, motor spares and brake systems. Cdi units, ignition coils, rectifiers, clutch cables, throttle cables, offroad motorcycle parts, piston's, rings, DC cdi units. For more info visit our website or mail us.